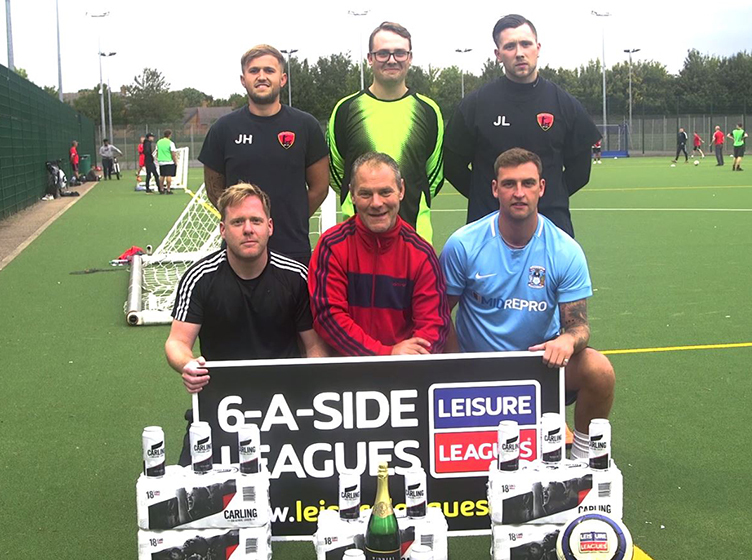 One of Banbury’s longest serving teams, The Trotters, had plenty of reason to run down to the league after bagging the runners-up prize in the August Prize Draw. The prize draw for August saw The Trotters pulled out of the giant bowl for a go on the Wheel Of Fortune. Fate saw them land on one of the Star Prizes, a crate of Carling – the top runners up award is a PS4 – but they appeared to be ready to enjoy to enjoy the lager anyway. Our cameras were there to catch the presentation at the North Oxfordshire Academy, and the video has been posted to our social media channels. 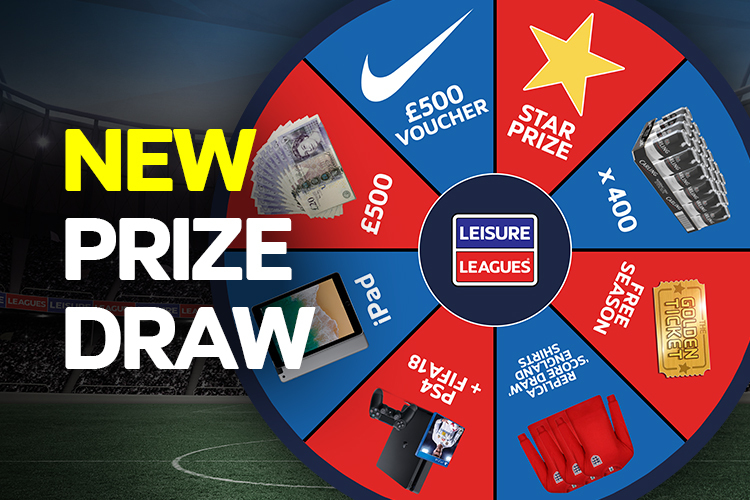 The Leisure Leagues prize draw has become a very popular fixture in recent months. 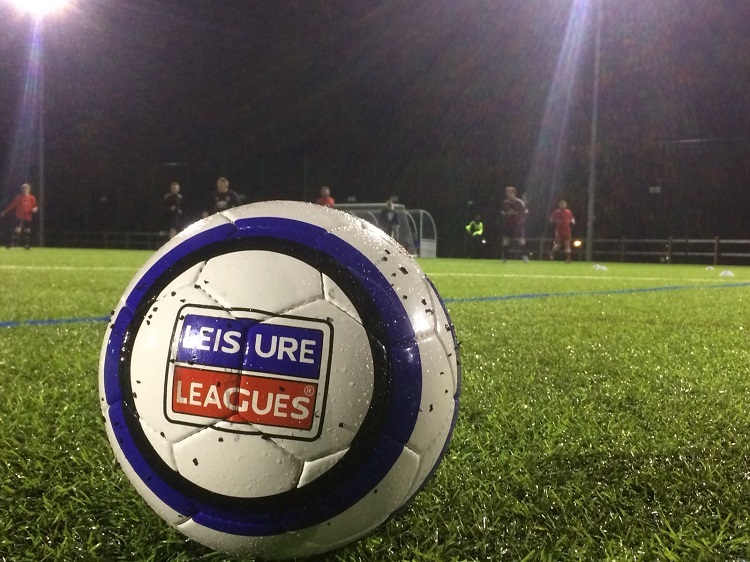 With draws for the winners, runners up (as won by The Trotters) as well as Most Valuable Player – open to the player with the most MVP awards in each league, so remember to fill in your player card (as only players on the website are eligible). That is not, though, the top prize. That comes courtesy of UHLSPORT – and is a trip to Germany for the whole team to watch a Bundesliga match. The eagerly awaited event will take place in early October and will be broadcast live on our Facebook page. If you want to be a part of it, then give the page a like, then tune in when we go live. There’s always a chance for the audience to win, too as we always have something special up our sleeves…..